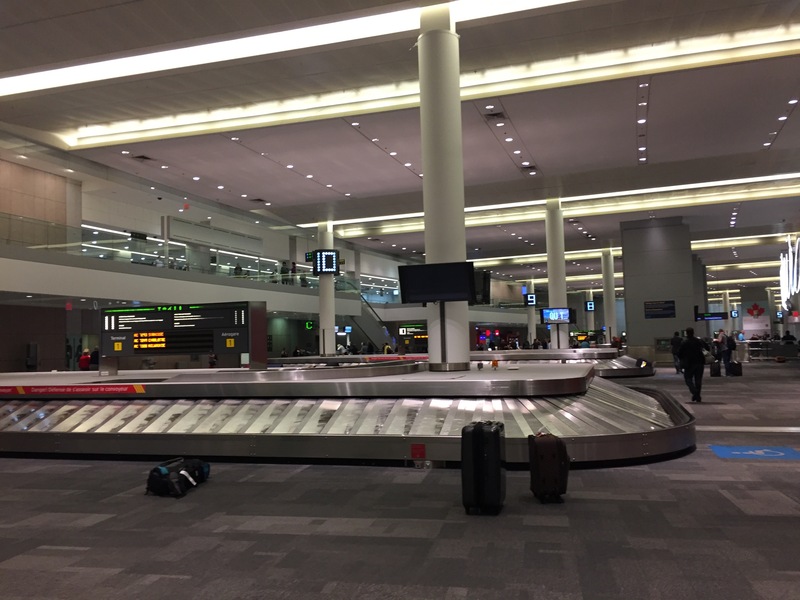 YYZ or famously known as Toronto Pearson International Airport is an airport hub serving the biggest city of Canada, Toronto. It is the largest and busiest airport in the country. 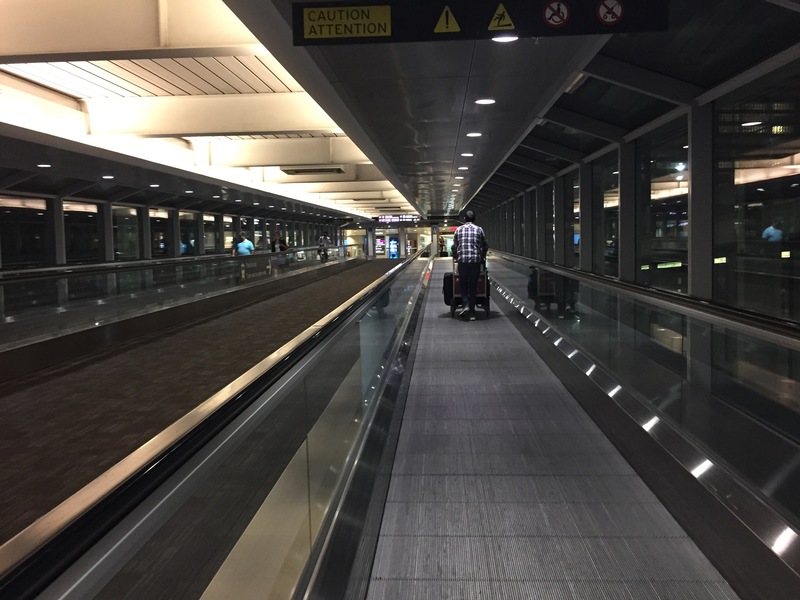 It is the main hub for Air Canada and is one of eight Canadian airports with facilities for United States border preclearance. 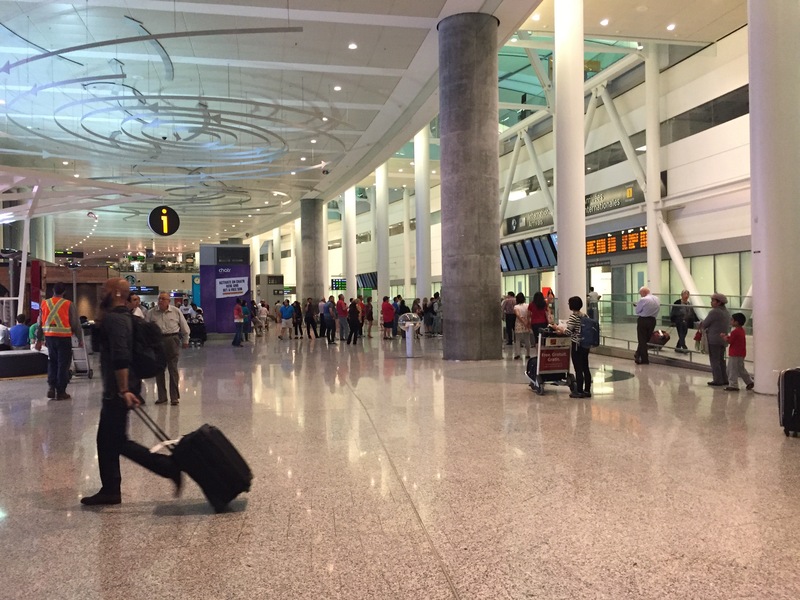 Over 75 airlines operate from Toronto Pearson to more than 180 destinations across all six of the world continents. 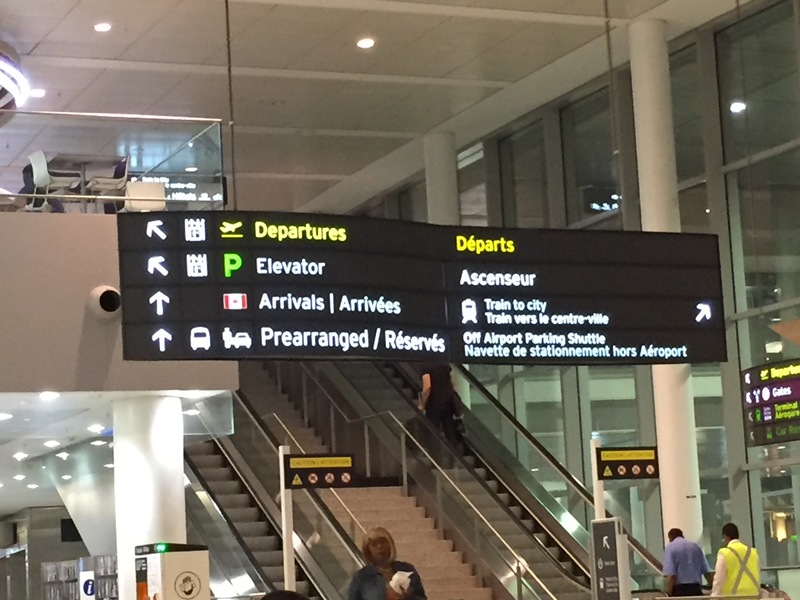 Toronto Pearson International Airport has two active terminals, Terminal 1 and Terminal 3. Both terminals are designed to handle all three sectors of travel from domestic, transborder to international. Terminal 1 is the largest terminal at Pearson Airport and is among the largest buildings in the world. It has 58 gates that serve airline companies for both U.S and international flights. For international departure in Terminal 1, passport control checkpoints and immigration checks are located in Pier F.
The arrival area is wide and grandiose. Upon de-planing the aircraft, it took about few minutes to get to immigration counter. Since it is not allowed to take photos in immigration counters, I will describe how it looks. The counters are divided into two. The Canadian and US passport holders are on a queue for first group of counters and the other line is for non-Canada and US passport holders. It only took about half an hour including from the queue until I got to pass the immigration officer. It was easy since I am a US permanent resident so, the officer just asked me some questions such as how long I’m staying in Canada, where I’m staying and do I have relatives who live in Canada. After that, I got my customs declaration stamped and went directly to baggage claim area. After I got my baggage, I went out to the arrival area. 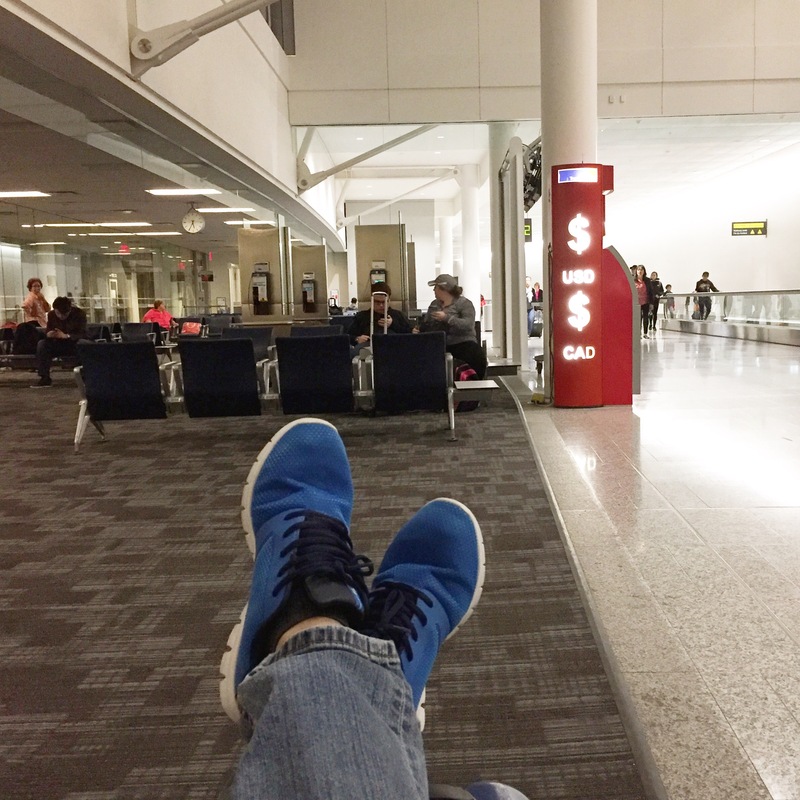 In Toronto Pearson International Airport, there are a lot of modes of transportation to get to downtown Toronto. One of those is thru taxi or limousines. Taxi and limousines offer either flat rate or fixed rate. A passenger needs to ask the driver though, if he chose the latter. You can also even pre-arranged a pick-up service so when you arrived in the airport, the driver is waiting for you. Other option is thru renting a car. Within the arrival gate, rental car companies are visible. 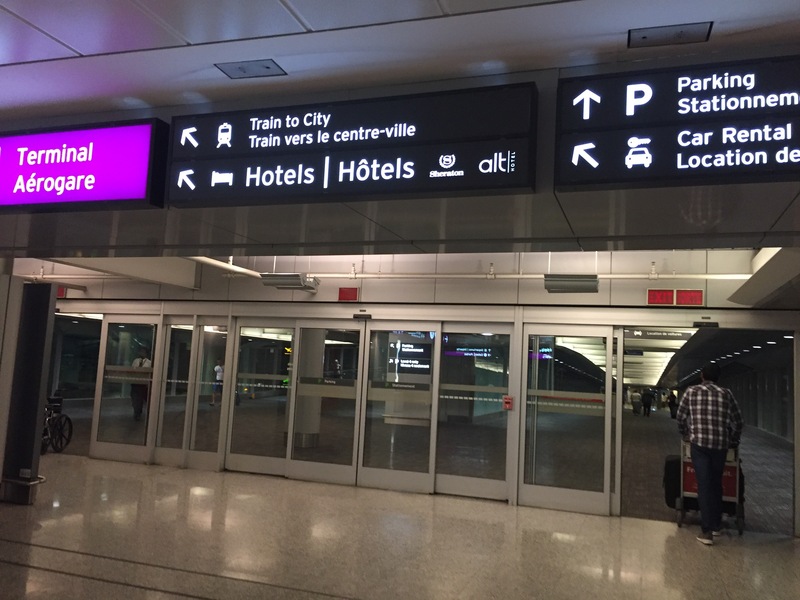 There are also local bus services, just check this site by clicking here to view and know the route and loading areas within the airport. 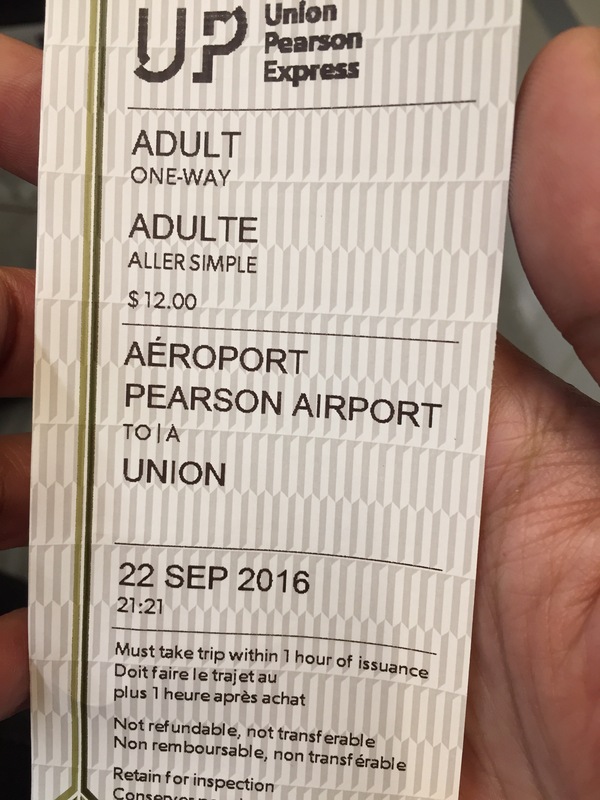 And lastly and the most affordable ground transportation to and from the airport is through the use of UP Express or Union Pearson Express. UP Express is a direct air-rail link that speeds travelers from YYZ to downtown’s Union Station. I took the UP Express. 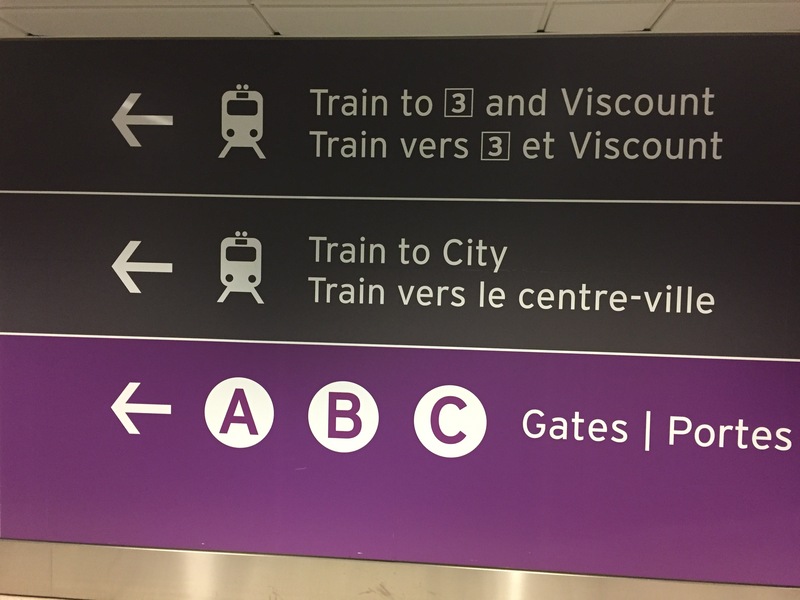 I just followed the signs to get to Train to City. 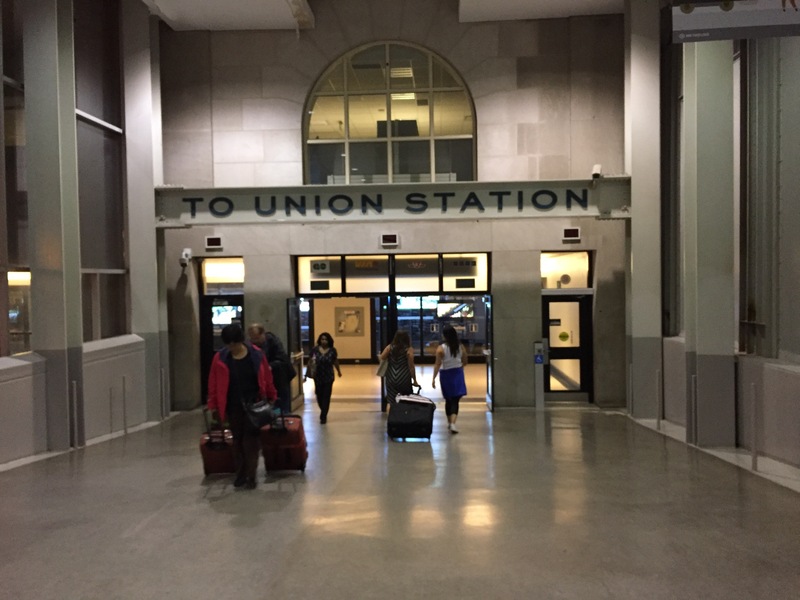 Finally, I got to this gate to Union Station. I just needed to get to the train for me to see the city. Union Station is the heart of downtown Toronto. I was already in the UP Express station in Terminal 1 and I saw a vending machine to purchase ticket. It cost me CA$12.00. I got inside the train and waited for it to start its engine and I was en route to downtown Toronto. The ride was fast and the trip took about 25 minutes passing two stations of Weston and Bloor. Train runs between 0530H and 0100H with 15-minute interval. To know more about UP Express, visit their site for Toronto airport or UP Express itself. 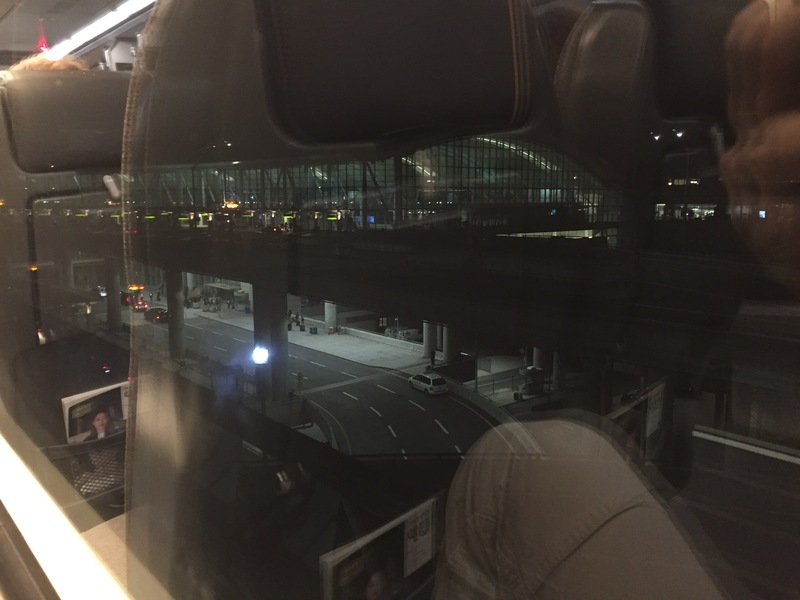 It is really convenient to ride the UP express train since it offers free wi-fi connection and has charging outlets in every seat. It is a great way to get around Greater Toronto Area and the airport. 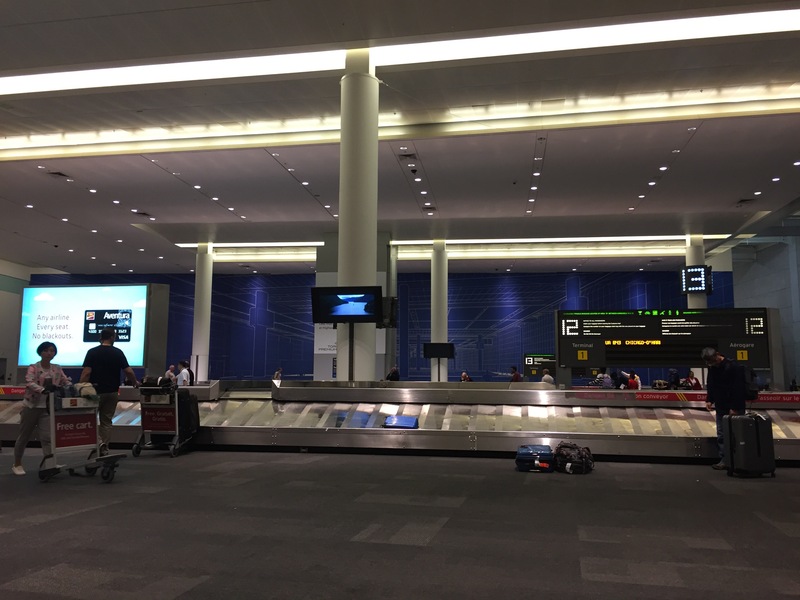 As a summary, YYZ or Toronto Pearson International Airport is a well-planned and spacious major hub in the country of the north, Canada. Even though it is miles away from downtown city but it can be accessed easily. 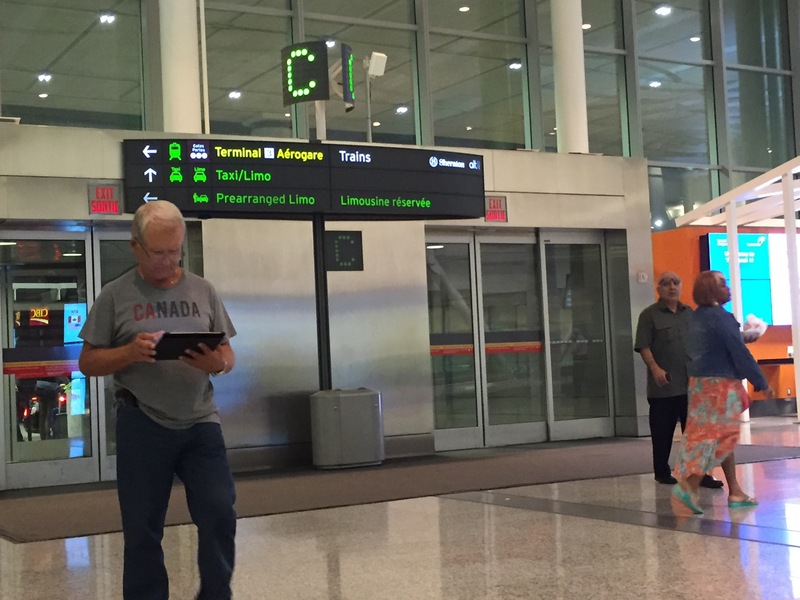 It is labeled as the busiest airport in Canada but it is big that it is not crowded. Toronto Pearson International Airport is indeed a great airport with stunning architectural design and incredibly friendly hub. 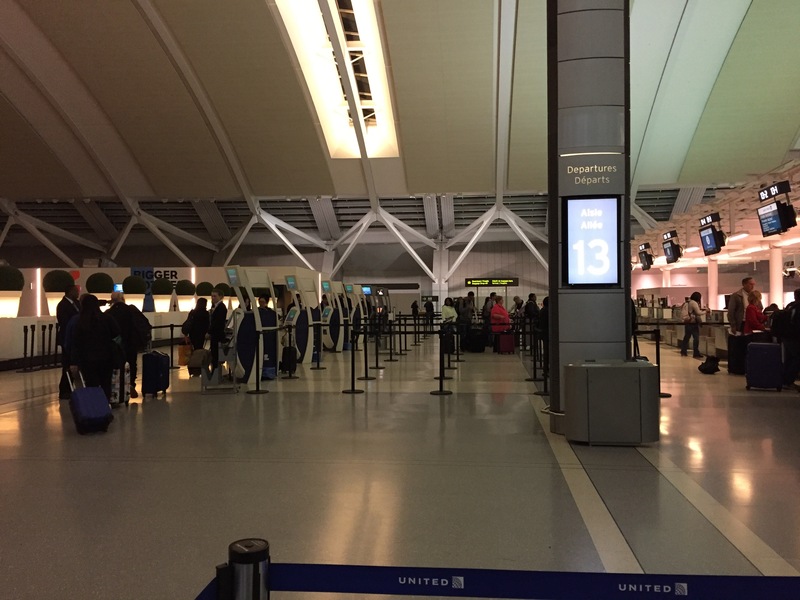 Your post IATA Code: YYZ – Toronto Pearson International Airport is very useful for toronto pearson international airport! I wanna share This article to my blog, please? Yes, you can share my article. I’m glad to be of help.